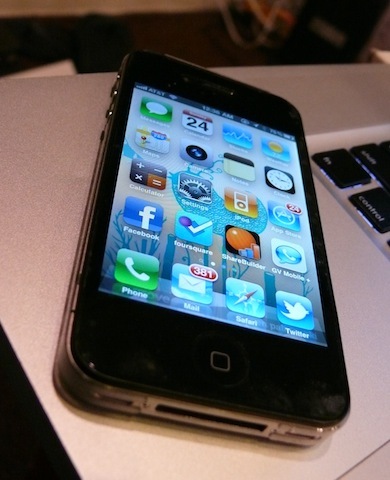 We first tested the Wrapsol Ultra protective film wrap for the iPhone 4. The directions that came with it were easy and simple, making it not very difficult to apply. It comes with custom-cut films that cover the sides, corners, top, bottom, front, and back. Additionally, it comes with a microfiber towelette and a squeegee, so you are all set with the tools to apply it. To apply the protective wrap, there are two flaps on each end that allow you to align it without getting fingerprints all over the sticky side. It is inevitable that some bubbles will form during the application, but those will disappear after 24 hours with Wrapsol’s advanced polyurethane and drying process. The sides are also very easy to put on and align correctly. The directions clearly show where each and every protection piece goes. 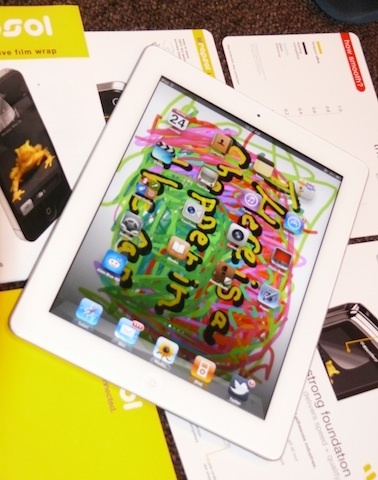 We also got to test out the Wrapsol Clean protective film wrap for the iPad 2. The “clean” protector series offers the strongest, smoothest, most durable anti-glare and anti-fingerprint, impact and scratch protection system. 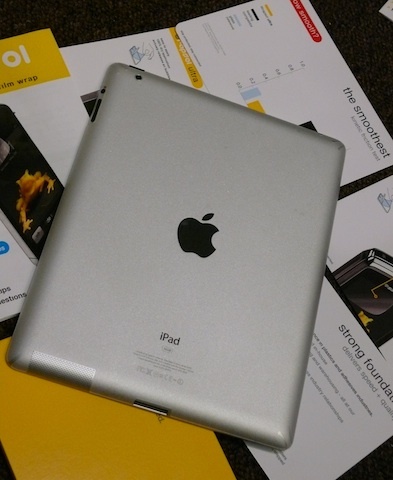 Without bulking up your iPad 2, this protective system helps prevent against scuffs, scratches, and screen damage. But it does more than that, it will also reduce smudges and cut screen glare. Installation was easy with a liquid that comes in the kit. We have to say this is probably the easiest protector we have ever installed on an iPad, and we’ve installed a lot of protectors. Alignment was simple by matching up the cutouts with the buttons. The transparent protector for the back of the iPad has a matte finish to make it easy to grip and hold. Again, with the iPad 2 protective film wrap, the bubbles disappear within 24 hours.